When I was twenty, I studied abroad in Barcelona. At that time, whenever I left my apartment, my bag had (at least) a Spanish/English dictionary, a map, a camera, a basic cell phone, a notebook and pen, a calling card, a train schedule—shall I go on? Without admitting my true age, technology has dramatically changed travel since then. Now, I can leave with only my iPhone and my credit card/cash and I can easily get around and communicate with locals wherever I am. I love—LOVE—to travel and the following apps are ones that will make any trip run as smoothly as possible. Kayak (free) on iTunes and Google Play – Since I live across the country from my family, I am used to flying quite a bit. From holidays to weddings, I feel like I’m always on the go. Kayak searches flights from almost every airline, from American and United to Emirates and Cathay Pacific (my personal favorite—they give you as much ramen as you can eat!). The feature I like best on Kayak is setting a price alert that sends an email either daily or weekly with price updates. I have personally saved hundreds of dollars on flights using this tool. This app is a great starting place for travel (especially when I’m sitting at home dreaming of my next vacation). TripIt (free with Ads, $.99 without ads) on iTunes and Google Play – TripIt allows the user to organize all their flight travel itineraries in one place. With a few simple clicks, users can see their flight information, hotel locations, and their train or bus schedule. This app is also especially helpful when it comes time to recall dates of travel for immigration purposes. Imagine filling out the last five trips to the US on the DS-160 with ease because all that needs to be done is open the TripIt app and pull up the dates. (Note, however, that the new I-94 portal should list previous trips as well). This is a hugely beneficial app for all regular travelers. Viber (free) on iTunes and Google Play and other devices – Download Viber and start talking and texting for free to friends all over the world. Yes, it is that easy. Viber is an app that allows the user to text and call over a WiFi network without long distance charges. This is an essential app for every iPhone user (also Blackberry and Android). Indeed, when Lizzie B. was in India, we spoke on the phone using Viber and the quality of the connection was exceptional. Other colleagues, however, have reported that the connection was spotty in various locations around the world, so it goes without saying that a quality Internet connection on both sides is essential. For those times when the connection is spotty, and also to easily send texts, photos, and leave voicemails, WhatsApp (free; after one year $.99) is great. Leave a voicemail and let your mom know everything is okay! Both apps require either a data plan or WiFi connection. Google Translate (free) on iTunes and Google Play – I remember many years ago, in pre-smartphone times, when I had to schlep around those language dictionaries. Now, I can simply type in a phrase, or even use the talk-to-speech function, and get a translation instantly. The Google Translate app is useful for reading items on a menu, asking simple questions, and finding my way around a foreign city. One downside is that Google Translate does not work without a WiFi connection or data. Another translation app that could be helpful is TripLingo (basic app free, monthly subscriptions start at $19.99/month). This app helps with slang and phrases so travelers can fit in with the locals. If you ever find yourself in Tel Aviv, you can scream “Nehedar” while looking at the beautiful Mediterranean Sea, meaning, “It’s awesome!” The standard phrases on the basic app do not require WiFi or data, but searching for more complex terms does. If you think ahead, you can save those phrases in your “favorites” and access them at any time. While the basic app is quite limited and offers only a selection of translations, flashcards, quizzes, and audio lessons, the monthly subscriptions (although pricey) unlock many additional features, including humor and fun, nightlife, and shopping translations, as well as more flashcards and quizzes and the ability to create a customized phrase list. Everplaces (free) on iTunes – Since my time studying abroad in Barcelona, I have had numerous friends, family members, and colleagues travel to this glorious coastal city in Spain. I always recommend Cerveceria Catalana, my favorite tapas restaurant. After nearly ten years, it is the one restaurant that I have always remembered and cherished. But there are many other amazing restaurants and parks and monuments that I would gladly recommend—if I had taken better notes. That’s where Everplaces comes in. Everplaces allows users to record favorite places around the world and make notes about each place. Thus, next time I want to make a recommendation about my favorite lunch spot in Bangkok or park in Paris, I’ll be able to easily provide the information, even sharing the information through the app itself. You can use the app offline to write down your thoughts, edit previous entries, and even text recommendations to your friends (using a texting plan, of course), but to browse other accounts, you will need to be connected to WiFi or have an international data plan when traveling abroad. Travel App Box ($1.99) on iTunes – Touted as the “Swiss Army Knife Among the Travel Apps,” this comprehensive app has everything from currency convertors to tip calculators to emergency numbers. It even has travel games ideas for long car rides (I Spy, Word Ghost, Twenty Questions, for example) which always come in handy, especially for kids. Each feature, aside from the Flight Status, can be used without an Internet connection. While the Travel App Box includes a currency converter and tip calculator, many have praised XE Currency (free) and Tipulator (free). XE Currency uses live, up-to-date currency rates so the conversion is accurate. Tipulator provides information for what to tip based on country custom. Google Maps (free) on iTunes and Google Play – One of my favorite parts about visiting a new city is simply putting on my iPod and wandering around for hours, exploring small side streets, quaint cafes, and little shops. When I first got my iPhone, I quickly realized, as did many others, that the map app that comes pre-installed just was not working well enough. I downloaded Google Maps and have used it religiously ever since. On a recent trip to London, Manny and I used Google Maps quite a bit with great success. While having a WiFi connection or a data plan will optimize the experience, you can use the app without them. Even though Google Maps does have transit maps, I tend to rely on HopStop (free) for the best maps and directions for using the subway in NYC. HopStop also has transit maps for over 600 cities around the world. Uber (free download, fares vary) on iTunes and Google Play – As much as I love walking around to explore new cities, I also appreciate how easy Uber has made it to find a ride. All I have to do is open the app, select the type of car I want (prices vary), and wait for it to arrive. I can even track the car through the app so I know exactly when it will arrive. The best part about Uber is that payment, including tip, is taken care of through the credit card on file, so when I reach my destination I can just get out and go. I have used Uber in both NYC and San Francisco with great success, and Protima has used it internationally in Melbourne, London, and Paris. Uber is currently available in fifty countries and growing. To use Uber, you must either be connected to WiFi or have an international data plan. Make sure to call your cell phone carrier before using any international data—it can get quite pricey! 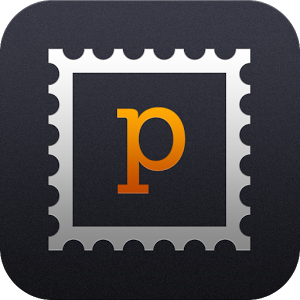 Postagram (free download, shipment costs vary) on iTunes and Google Play – I am a huge fan of snail mail. I still send letters to friends, thank you notes, and postcards, and I appreciate when my mailbox is more than just bills and catalogs. Sometimes though when traveling, it’s hard to find the time to buy stamps, locate a post office, and send a card, especially knowing that the card might not arrive weeks after returning home. Postagram is the perfect app to let loved ones know you’re thinking about them while you’re away. Either connected to WiFi or with an international data plan abroad, users simply add a picture from their phone, write a personal message, enter the street address, and, voila, a physical postcard is sent. Send me one! TAGS: apps, we like to travel, where should i go next?, send me a postagram!